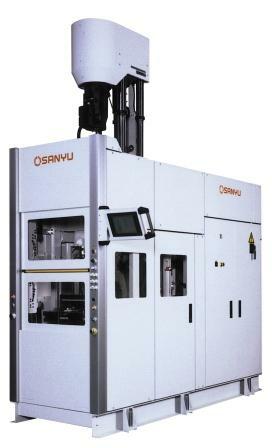 Rotary machines are ideal for high volume, high quality production. Sanyu has developed various rotary systems with 2, 4, 6, 8, 16 and 32 stations. 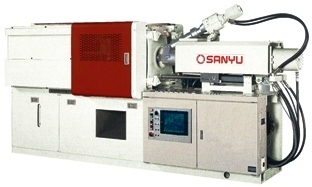 To improve shot to shot consistency of injection pressure, speed and volume, Sanyu has developed a servo-driven injection head. 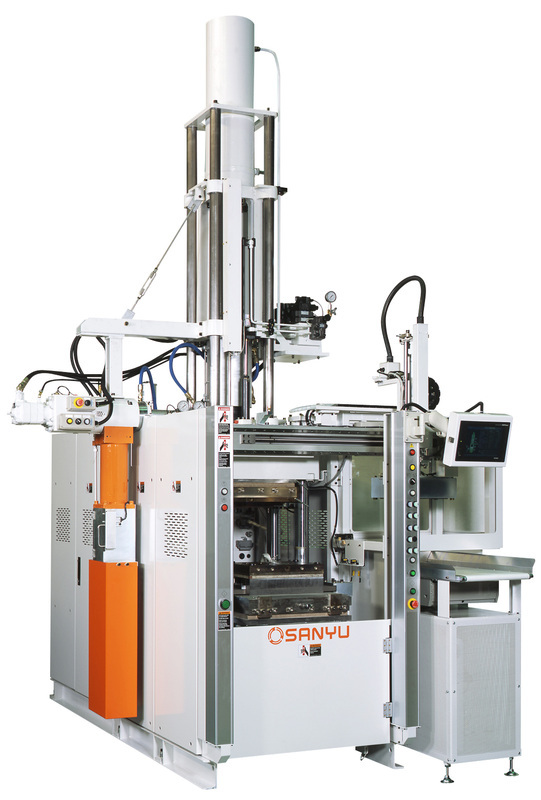 Other functions of the machine are hydraulic. 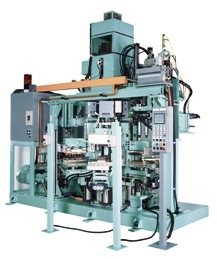 Horizontal injection presses are available from 15ton to 150ton clamping pressure. 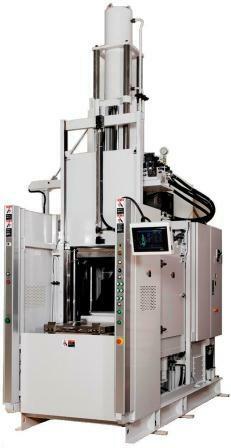 A vacuum chamber surrounds the entire clamp area to enable vacuum molding with any kind of mold. 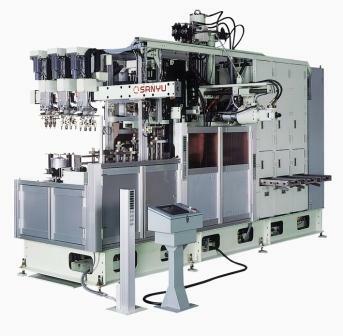 Vacuum molding reduces the likelihood of non-fills and trapped air in the molded part. It helps to keep the mold clean and the chamber insulates the mold helping to reduce power consumption.